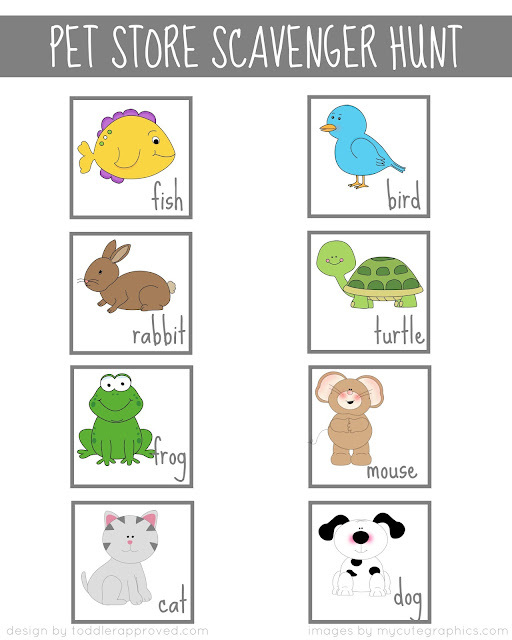 Welcome to Pet Week! So far this week we've shared how to make craft stick pet puppets and how to play a fun paw print matching game. Today we are sharing a Pet Store Scavenger Hunt that includes a free printable you can use! Do you ever go to the pet store? When my kids were littler and we had extra hours to burn in the day we would always head to the pet store if we needed somewhere to go! My kids loved roaming and visiting their favorite animals and I loved watching their excitement! We still love visiting the pet store when we can and are excited for a few trips this week during pet week! Today as part of our Craft Closet Boredom Busters series we are using one of our favorite (and most used) crafting materials--- plain white cardstock paper!! 1. 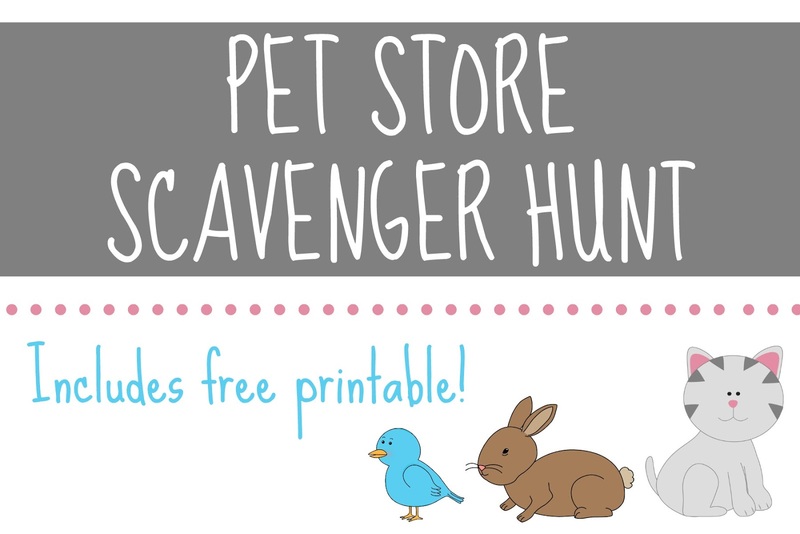 Print out a copy of our Pet Store Scavenger hunt HERE. 2. Go to the pet store! 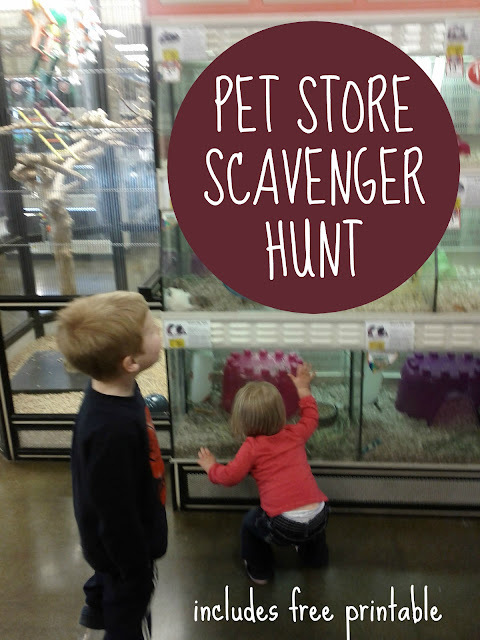 Once you are at the Pet Store you can start exploring and hunting for your favorite pets! 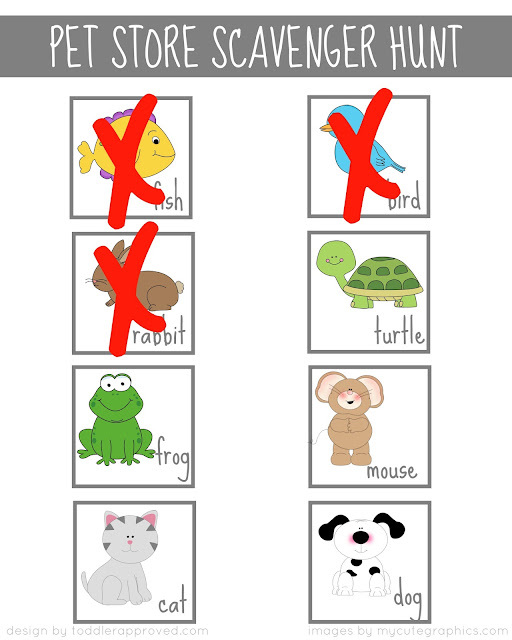 As your kids find the different pets, they can cross off their pictures (or stick a sticker on them or even just make a small circle in the box). Once all of the animals are found you have won the scavenger hunt! Not every pet that can be found in the pet store is featured on this printable, so once you've found all of these ones, turn your paper over and write down additional pets that you find! What is your favorite pet store animal to visit? My kids LOVE the reptiles and the gerbils running around the wheels! 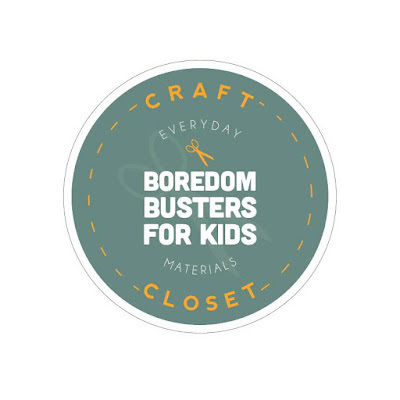 This post is our second installment in our Craft Closet Boredom Busters series! Be sure to stop by the Craft Closet Boredom Busters landing page for the rest of the posts shared this week. Thanks My Cute Graphics for the use of your clipart for our free Pet Scavenger Hunt printable!